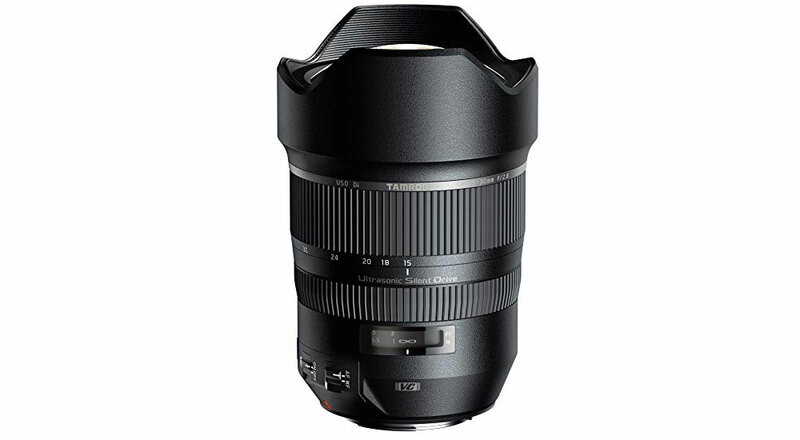 The Tamron SP 15-30mm f/2.8 Di VC USD is a very unique lens, firstly for having image stabilized in a wide-angle zoom, f/2.8 wide-open and specifically for full frame camera bodies. This is a top of the range wide-angle zoom, which is set up to go against the likes of the Nikkor 14-24mm f/2.8G lens, but at a more affordable price point. The point of this lens is to capture high-quality, very wide-angle images in all conditions, especially landscapes, architecture, and wide environmental shots. Having the benefit of f/2.8 throughout the zoom range is a great bonus, especially in low light conditions, with its biggest selling point being image stabilization. Tamron’s image stabilization, ‘Vibration Compensation’ (VC), can give up to four stops of compensation which is a first for such a wide-angle zoom. If you’re a Canon or Nikon user, this is great news as ‘IS’ is missing from the wide-angle zoom end of the spectrum when it comes to the zoom lenses, so now we all have the option. Being a high-end lens, you get plenty of quality glass in the Tamron with 18 lens elements, arranged into 13 groups consisting of three low-dispersion, one molded-glass aspherical and two expanded glass molded aspherical elements. The lens has a fluorine coating, eBAND coating to reduce internal reflections, and very good weather sealing. Although the lens is designed for a full frame body, it will work equally well on cropped sensors, having an effective range of 22.5-45mm. The aperture range is ff/2.8-f/22, minimum focus is at 0.28 m, all packed into a 145mm length at a hefty 1,100g. The barrel is made of extremely durable plastic, with a metal mount. Physically, the lens features a smooth, accurate manual focus ring, VC and AF/MF switch. The Ultrasonic Silent Drive (USD) is silent and fast and is compatible with Nikon, Canon and Sony camera bodies. Having a lens with f/2.8 and an effective four stops of compensation image stabilization means that the old school rules of how slow a shutter speed you can use handheld is greatly stretched. In reality, you’re probably going to get a few stops extra, but this can mean the difference in many scenarios of still going handheld, instead relying on a tripod. The image stabilization is very impressive and will allow you to capture images when otherwise you can’t. It almost makes you wish that this was a feature on any lens as standard. 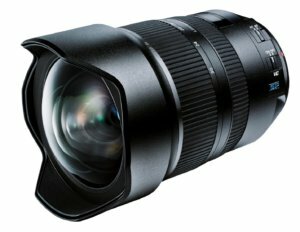 If you measure the Tamron up against the Nikon 14-24mm f/2.8, the Nikon goes slightly wider by 1mm, but the Tamron gains with 6mm more at the other end of the range. In many ways, as it is an ultrawide angle you would expect more in the lower than the upper end of the spectrum, but the difference is small enough to live with, especially when you consider the Tamron’s overall quality and the addition of image stabilization. The Tamron is sharp when ultrawide, but less so when nearing its 30mm limit. This is something you would expect from a wide angle zoom, no matter the make. f/4 is where the lens starts to get into its sharpest territory, with f/8 being sharpest. Color and contrast throughout the range is extremely good, as you would expect with so much quality glass. Although Bokeh is not a priority on a wide-angle zoom, the rounded 9 blade diaphragm can provide good results if you get close to your subject. If you want this effect in a wide angle, you may want to opt for a prime lens with a lower f-stop. Vignetting is most pronounced at 15mm, dropping as you go up to 30mm. The eBAND and BBAR coatings on the lens help to reduce ghosting and flare which it does a fine job with throughout the range, so no problems there. Barrel distortion is more significant at 15mm as you would expect from a wide angle, but these can be easily corrected when post-processing. Chromatic aberrations are also kept to a minimum due to the lens’ high-end coating and just like distortion can easily be fixed in post-processing. The Tamron is sharp throughout its range and beats many of its competitors with overall quality and speed throughout its range. The addition of image stabilization will also benefit those shooting video as it will give you far more opportunities to shoot handheld, especially in low light conditions. I can definitely see more video being shot with this lens, due to the great combo of being sharp, wide and with built-in stabilization. Static shots inside in low light conditions, wide-open, give rich colors and sharp images throughout the range. It’s only when you really zoom in to an image you’ll probably see a little blur, but it will still allow you to capture shots when otherwise you would have to rely on tripods and additional light. That image stabilization you really start to rely on. Architectural shots outside in relatively good light conditions with low ISO provide rich colors and sharpness across the range. You could even use this lens for wedding photography where you want to vertically capture the whole room and bring the elements in alongside the bride and groom. In other words, you’ve got plenty of opportunities to capture many scenarios, right down to very low light conditions, with quality images. The Tamron is a heavyweight lens which can cover all the ultra wide-angle bases you need, without carrying around a bunch of wide prime lenses. Having f/2.8 serves great in low light conditions and is further enhanced with the image stabilization, which lets you get really low shutter speeds still being handheld. There’s a lot to like about the Tamron. It has great image quality throughout the range and having that image stabilization in such a wide-angle lens, tops the competition and will be the focus of many who specialize in this area of photography. The lens tracks really well with native AF systems and there is very little to complain about when the focus is on ultimate image quality. It’s definitely a recommended lens if you want a high quality, wide-angle zoom, especially one that is great down to low light conditions handheld.